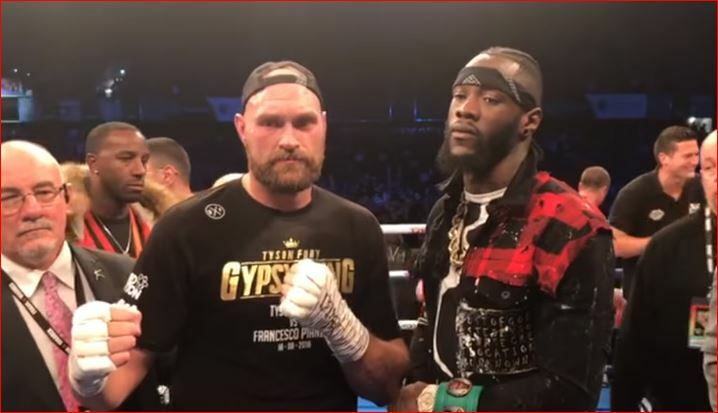 LA has become the front-runner to stage Deontay Wilder vs Tyson Fury it appears and reports are that the overall card could very well be the best seen in US boxing for many, many a year. Okay, lets not get too carried away by this straight off the bat. But, if even half of this comes off it will still be a ridiculously good pay per view in the US this coming December. Al Haymon, as he’s often done in his career in the boxing business, has come out of left field with something of genuine worth once again. Gervonta Davis vs Abner Mares and Leo Santa Cruz vs Gary Russell are two breathtakingly top-notch fights to stick on the same card as the WBC heavyweight title fight between Wilder and Fury. If all three of these fights were put on together on the same night, you’d have to say this would be the biggest boxing event in December outside of anything that could be possibly mustered up anywhere else. Gervonta Davis does have a lot of weight to lose in time for December, however, but no doubt there will be more than enough incentive for him financially with this being a pay per view to get down in weight in time. It was thought that this Monday would see Wilder vs Fury announced but there are new rumors that it could be a week after that now. If this is the card being worked on causing that delay, the wait will be worth it. But time is running out – we’re near the end of September now.